The trip Lynn and I took to upstate's Tuthilltown Spirits was an embarrassment of riches. We predictably found great spirits but the real surprise was the discovery of the distillery's brilliant bitters called Basement Bitters (so called because the bitters are created in the basement of the distillery). The bitters have a distinctive and smoky flavor likely the result of aging in rye whiskey barrels. 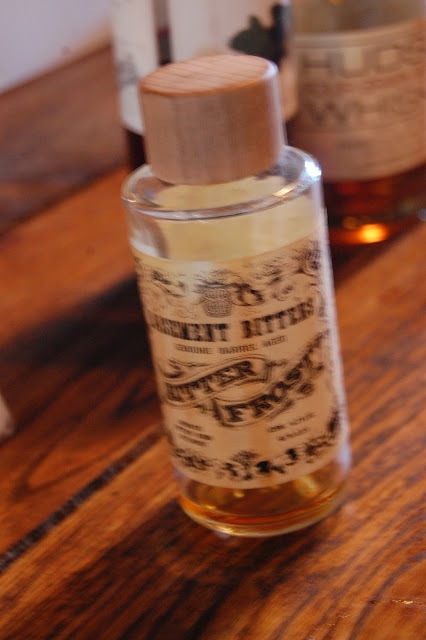 One of the best and most innovative of the artisinal trends of late has been the rise of thoughtfully made and curated bitters and with Basement Bitters Tuthilltown has raised the bar on the neglected art of making bitters.